Shun the shackles of bygone maternity fashion by wearing this midnight blue coloured dress from the house of EpikMoms. 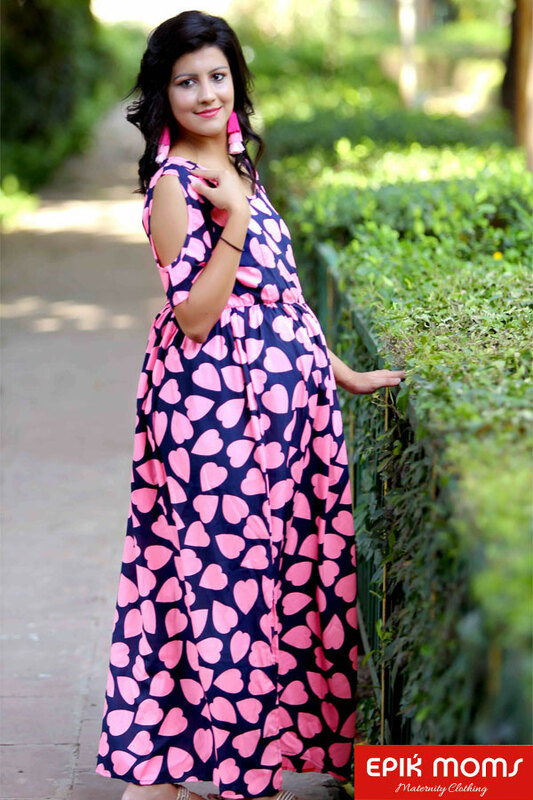 This attractive nursing dress is the flavour of the season and will give you a sassy look pre and post pregnancy. Its unique look and beautiful colour will fetch a lot of second glances as you club it with contrast coloured pumps and flashy tassels.